Recent news about Apple's delays in 5G development for iPhones has sparked questions about whether Apple's semiconductor deals are set in stone. Apple is not expected to ship a 5G enabled iPhone this year perhaps due to their sole chip partner Intel not being able to produce one. 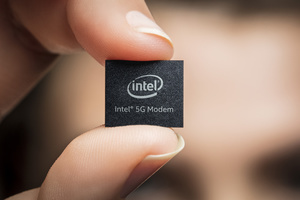 Intel is hoping they'll get their XMM 8160 5G modem ready for Apple in early 2020 but earlier delays in the product line are reportedly eroding Apple's trust in Intel. This opens up question about other manufacturers. This includes the likes of Samsung, MediaTek, and even Qualcomm, whom Apple have been battling against in the court recently because of several patent disputes. Court cases don't seem to stop Qualcomm from effectively proposing to supply 5G modems to Apple. The company's president Cristiano Amon has told Axios that Apple "has their number." Apple is said to be developing their first in-house modem which is expected to be the 5G modem likely heading to 2021 or 2022 iPhones. However, at that point its too late to enter the 5G competition, and to get there earlier they'll need at least one generation of externally designed modems.